Doug Baldwin is one of those football players who is almost obsessed with participating in more than one sport, the most passionate one for him being track and football. However, due to the need to have a successful career he had to focus on one major sport thus choosing to play American football. Like most players like himself, he started off playing at the high school level and by the time he was in his senior year, he had recorded a total of six touchdowns and 42 receptions for 682 yards. Currently, Doug plays as a wide receiver for the Seattle Seahawks of the National Football League(NFL). Here are more interesting details about him. Douglas Dewayne Baldwin Jr. was born in Gulf Breeze, Florida, U.S.A on the 21st of September, 1988. He spent most of his formative years in Florida with his family including his only younger brother named, Devon. He was involved in a number of sporting activities whilst in Gulf Breeze High School but he focused more on track and youth football. In his senior year, Doug had six touchdowns as well as 42 receptions for 682 yards (16.2 avg). 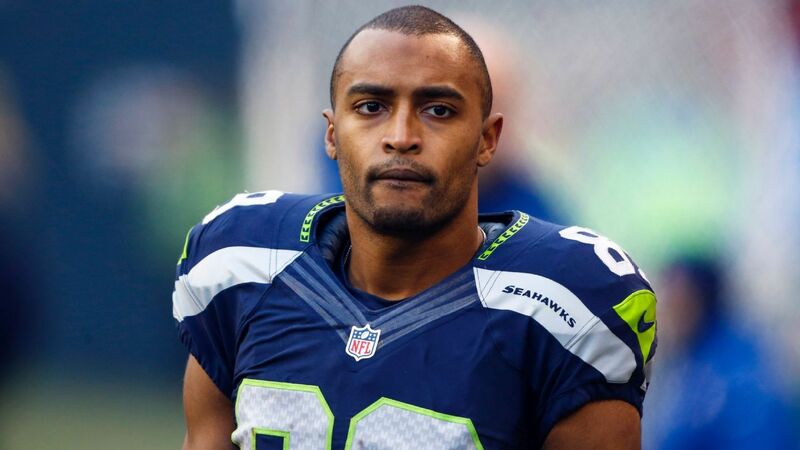 For his University education and collegiate career, Doug Baldwin was enrolled into the University of Stanford, where he played football from 2007 to 2010 serving as a kick returner and wide receiver. Though he was very instrumental in leading Stanford in receiving yards in his senior year, he still wasn’t drafted in the 2011 NFL Draft. At the end of the 2011 NFL lockout, Doug was signed as an undrafted free agent to a deal worth $1.4 million by the Seattle Seahawks. In the first week of the 2011 season playing against the San Francisco 49ers, Doug did well to catch his first career touchdown which was a 55-yard received from quarterback Tarvaris, a feat which made him the first undrafted rookie to lead his team in yards receiving and reception ever since the NFL-AFL merger occurred. The Seahawks later drafted Tyler Lockett, a wide receiver from speedy Kansas State and also acquired, Jimmy Graham(a Pro Bowl tight end), from the New Orleans Saints during the 2015 offseason. The addition of the new teammates who were referred to as offensive weapons proved to be a good one for both Doug and the Seahawks. Based on his performance for his team, Baldwin was offered a contract extension worth $46 million for a four year period with a $24 million guaranteed sum thus making him rank as the sixth-highest earning receiver in the NFL. On the 23rd of January 2017, Doug Baldwin was named as an injury replacement for Larry Fitgerald of the Arizona Cardinals and was subsequently ranked in the number 88th position of the Top 100 Players of 2017, a ranking done by his fellow players. Football players are known to be quite complex especially when it comes to their relationship. Either they are involved with lots of women who in turn become baby mamas or wives or girlfriends totally hidden from the public eye. When it comes to Doug’s private life he lets off just as much as he wants. What we know so far is that in 2012, he began a highly publicized relationship with the beautiful Jennilyn DeJesus who has sometimes been described as a sports junkie. This is because ever since she was younger she has been exposed to a myriad of sporting activities before settling for a professional career as a football player just like Doug. Interestingly, she also played wide receiver like Doug thus making their relationship seem like the perfect one. Unfortunately, the pair broke their relationship in 2015 without stating the reason for their split. Soon enough, he began dating another woman named, Tara Sabourin, a data analyst for Atigeo in Bellevue, Washington. 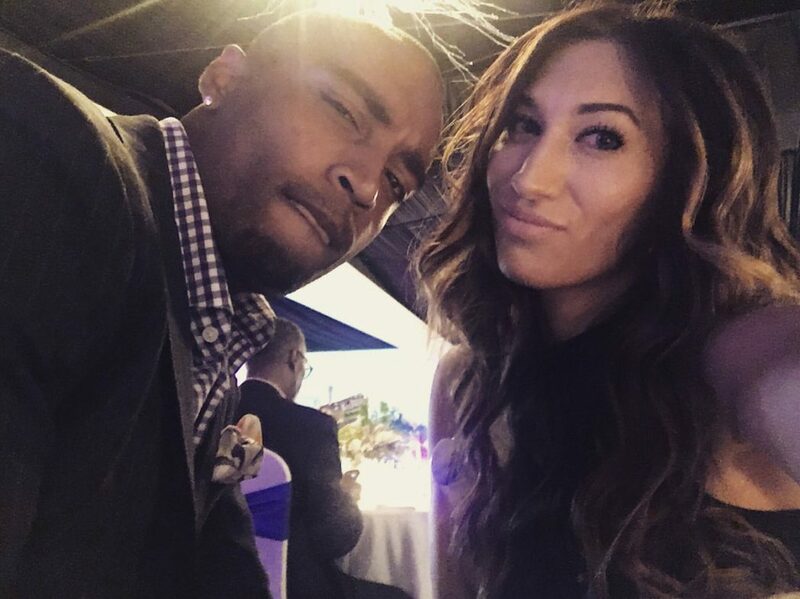 Doug Baldwin subsequently proposed to Tara on the 3rd of March 2016, they are however yet to get married. At least, it hasn’t been made public. In American football, even the tallest and biggest of men can appear a lot smaller in stature when pitted against their counterparts, opponents or colleagues as the case may be. No doubt, it is a really intense sport which requires athletes to be fit in strength and stamina thus anyone with serious hopes of making it in the profession must have the average body stats else it might be a painful experience. For Doug, he doesn’t do badly when it comes to strength, stamina, and mass as he weighs a good 69kg (189.6 lbs). However, though he stands at a height of 1.8 m (5 feet 10 inches) a height which may not match up to most other football players like himself, he still does well to hold his own down while on the field of play.